This content was produced by the Advertising Department of KETV. As we all know, recycling takes effort. But the difference we see when we take the time to separate items is significant. 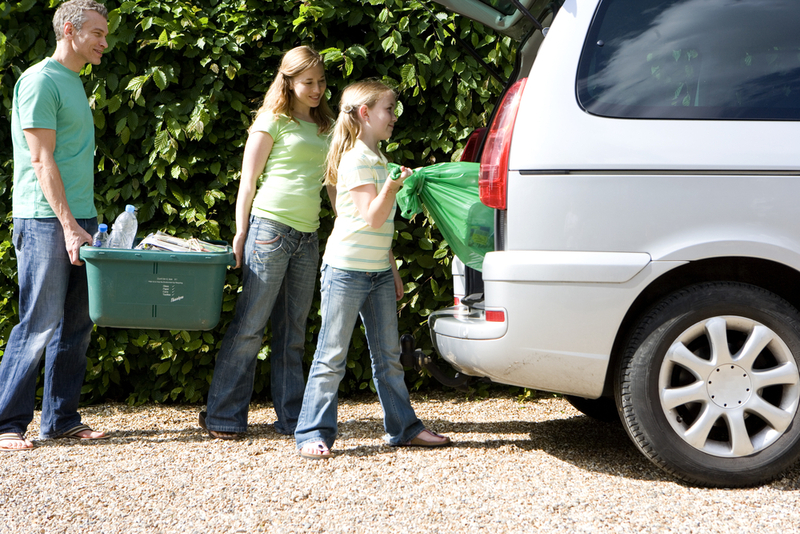 The more effort we as individuals and families make, the less we send to the landfill. As consumers, we often purchase recycled or recyclable small goods. When it comes to large household items, though, like a new sofa, we usually think more about color, fabric and cost instead of all the waste created from materials like cardboard and Styrofoam to ship the item. Fortunately, shoppers at Nebraska Furniture Mart needn’t be concerned. The Omaha-based company has worked tirelessly to make sure such materials also stay out of the landfill. Since 2007, the company has recycled more than 55,000 tons of materials. That’s 41,115 tons of cardboard, 1,408 tons of EPS (Styrofoam) and 2,079 tons of plastic! In addition, 10,360 tons of debris were recycled during construction of the new Dallas store. Nebraska Furniture Mart’s stores in Omaha, Des Moines and Kansas City also dedicate resources and technology to reducing waste. Recycling shipping waste for a large furniture company is not unlike what you do with everyday household items. After a product is assembled at Nebraska Furniture Mart for home or office delivery, the warehouse staff separates the waste and transfers it to a recycling area. The similarities end there, however. Nebraska Furniture Mart has invested in specialized large-scale machinery to transform the waste for efficient packing and reuse when it makes its way to the recycling center. 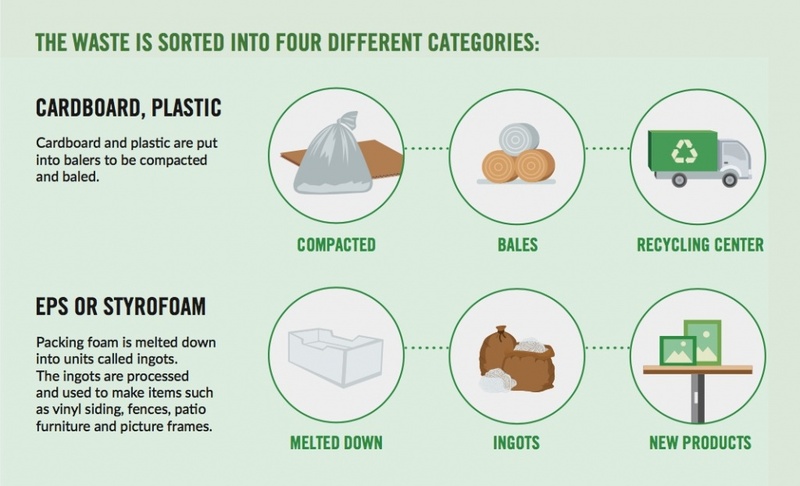 This equipment includes a compactor that bales cardboard and plastic for transport, while a different machine melts Styrofoam into “ingots,” which are then placed in industrial-sized bags and shipped to the recycling center. From there, the material is processed and converted into familiar items such as vinyl siding, fences and patio furniture. That new frame displaying your family reunion photo? It may have been made from materials that once protected the very sofa you are sitting on as you reminisce about your family. The company’s efforts at waste reduction go even further. 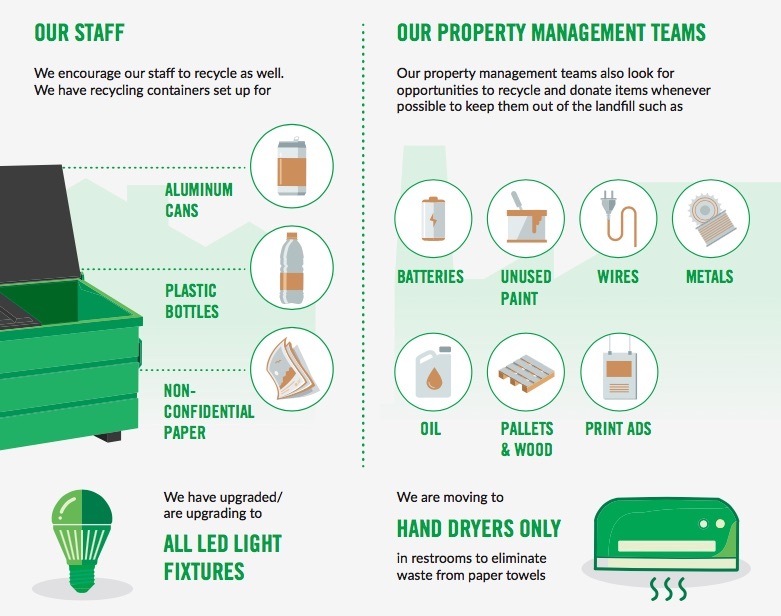 The entire Nebraska Furniture Mart community is encouraged to make individual recycling efforts. Convenient containers for sorting are in the back of every store and in other employee areas. The containers allow easy separation of aluminum cans, plastic bottles, cardboard and paper. Office products like light bulbs, batteries, electronics, printers and computers are sent to a specialized recycling center. Speaking of printers, office staff print only in black and white and on both sides of the paper—seemingly small actions that would make a huge difference were all offices to do the same. Since its founding in the 1930s, Nebraska Furniture Mart’s policies have combined corporate responsibility trends with new initiatives. The recent focus on environmental responsibility is no different. Every light fixture—1,700 and counting—in every retail store, administrative office, and warehouse has been or will be upgraded to LED. Carpet remnants are rebound into mats and rugs. A computer system controls power output. Light, heating and air conditioning are automated to turn on exclusively during store hours. In addition, auto-dim lights were installed in offices, storage closets, restrooms and other appropriate spaces. Outside, all company delivery trucks use GPS to take the most efficient routes to their destinations. The state-of-the-art warehouses are also designed to run with maximum efficiency. Like the administrative buildings, warehouse aisles feature auto-dim lights that turn off when not in use. Forklifts and hi-lifts run on electric battery power in lieu of gas, and the batteries can be recycled or recharged. These machines also create a safer work environment, because they aren’t emitting toxic fumes. Scheduled power curtailment is yet another example of the company’s paradigm of energy conservation, as blackouts are scheduled throughout the summer to reduce the power draw from the utility’s energy grid on warm nights. Nebraska Furniture Mart’s new Dallas showroom has also set a standard for green retail construction. In meeting the company’s objective to recycle all demolition materials from new construction, 10,360 tons of construction debris and leftover paint were donated. In addition to these efforts, the Dallas showroom and office restrooms are equipped exclusively with air hand dryers, saving hundreds of paper towel rolls annually. Beginning with the Omaha showroom, the other retail spaces will see their restrooms equipped with hand dryers in the near future. The sprinkler systems outside all store locations feature a rain gauge, so that grass isn’t watered the day after a rainfall. 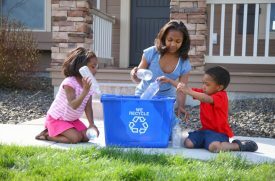 Recycling is no longer a novelty, because we know that being conscientious about waste is our responsibility. We all benefit when we lower the stress on our landfills, reduce energy output and contribute positively to our environment and climate. 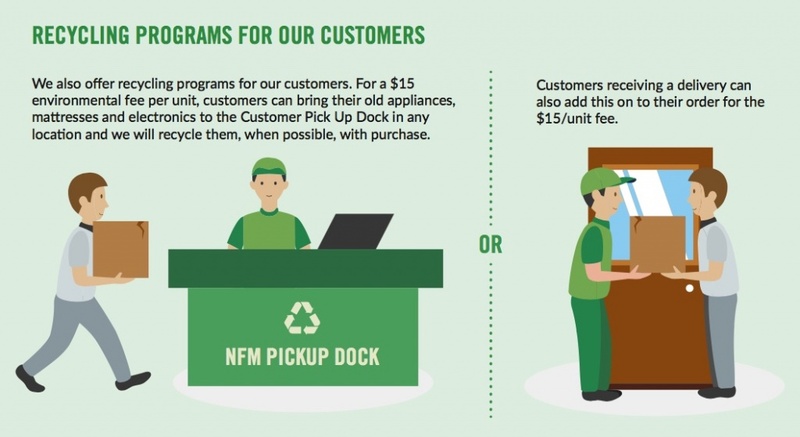 Nebraska Furniture Mart takes this responsibility very seriously and has invested in innovative systems and programs to reduce waste and improve efficiency. It’s good to know that when purchasing a new sofa, dining room table or desk, we can maintain our focus on color, fabric and cost, while Nebraska Furniture Mart takes care of sustainability.